*cheesy grin* I have to say that I am totally loving the names for my new soaps. I finally had a wakeful, energetic day and got all of the last minute touches done, so now the two soaps have gone live on my site. *happy dance* Before I upload the pictures I wanted to say that these are the first product pics taken with my new DIY photo tent box and I am tickled! I still have some more tweaking and definitely a lot of learning to do, but will slowly try to retake pictures of my products. I played with background patterns, colors, and even scene fillers. I kept these backgrounds pretty basic to help make the soaps look even more dramatic. For Love Bites I actually used the back of some Valentine decoration’s packaging. *laugh* I thought that was rather brilliant myself. I had a lot of fun trying different backgrounds for Black Magic and ended up using present tissue paper over a piece of construction paper. I took a plain picture too just to make sure that the new box was actually making a big difference and boy howdy does it! I did very little editing with these and they were taken with my iPhone! Yep, I’m a little proud. lol Without further ado…. Both soaps are now up and featured on my site too (way bigger pictures than the others *grin*) on my soaps page (just click the red “soaps” there and it’ll take you, or your friend *elbow nudge*, right to them). It’s amazing how many little details like hyperlinking I can remember when my mind isn’t being pulled a million directions. *laugh* Anyway, I totally love these soaps. 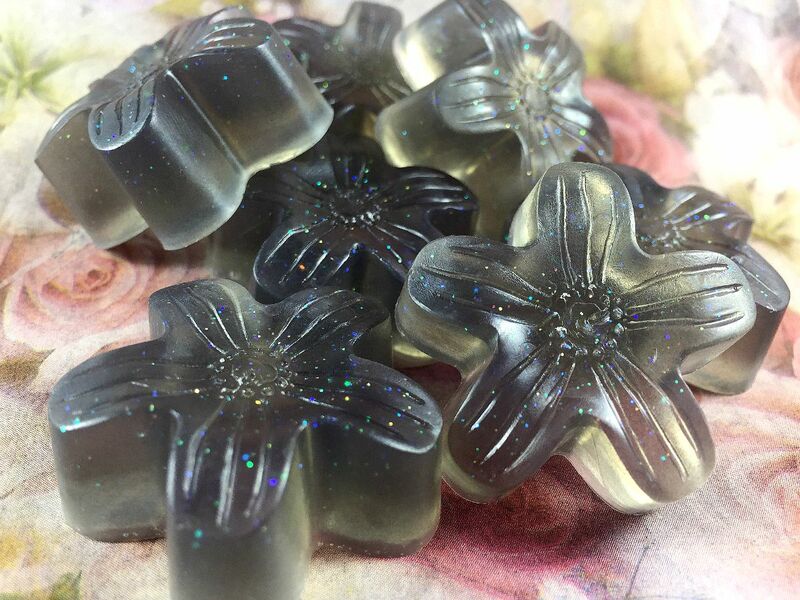 I wish they turned out a bit darker since they looked like the perfect soft black when I poured the soaps, but being a little paler helps that glitter really catch the eye. I’m becoming such a glitter fanatic that I might need an intervention. Never would I have expected that of myself. 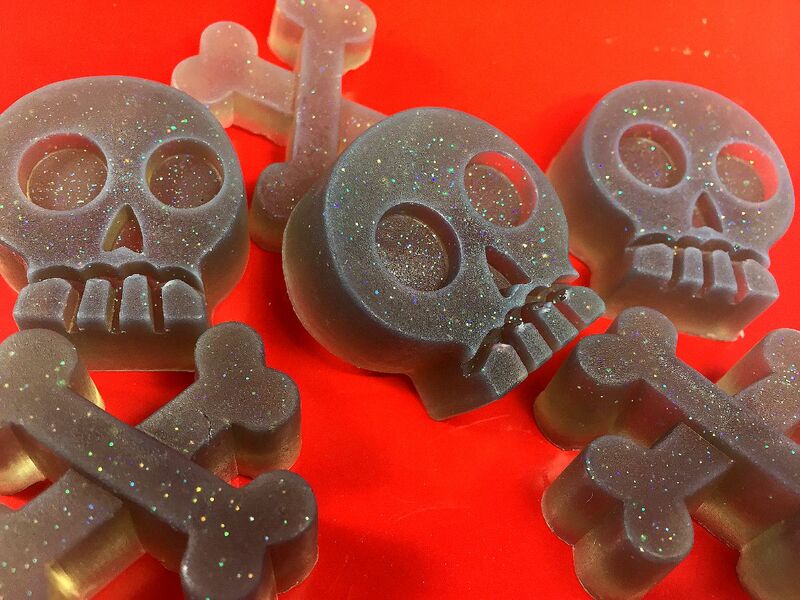 Posted in Soaps and tagged Glitter, handmade, Love Bites, Soaps, Whimsical. Bookmark the permalink.